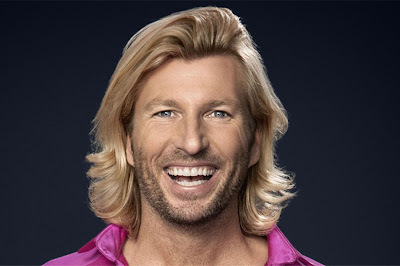 FOOTBALLER-turned-television pundit Robbie Savage is to make two guest appearances at the William Hill Ayr Gold Cup Festival at Ayr Racecourse later this month. The former Strictly Come Dancing contestant, who is now a sporting ambassador for William Hill, will make the draw for the William Hill Ayr Gold Cup on Thursday 19 September, and the following afternoon he will be a judge for the Best Dressed Lady competition on Ladies’ Day. The draw for the big race has become an integral part of the Festival and takes place at 11 am on Thursday with trainers or representatives from all 27 horses running in the Saturday showcase picking the stalls their horse will run from after its name is drawn. Racing UK will broadcast the draw live with Gordon Brown presenting and the addition of a big name like Robbie Savage is sure to be a major attraction. 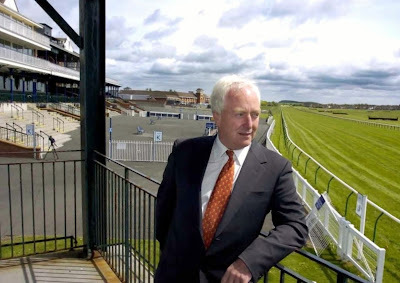 Ayr Racecourse Chairman Alan Macdonald (pictured above) commented: “Over the years the draw for the William Hill Ayr Gold Cup has grown in stature, and with a household name like Robbie Savage in attendance this year’s will be the most prestigious yet. Ladies’ Day on Friday 20 September sees the final of the Best Dressed Lady competition when up to 27 finalists who have been awarded a coin will draw the name of a horse running in the William Hill Ayr Bronze Cup. And ladies can still qualify for the final - the final few bronze coins for Best Dressed Ladies will be awarded by the judges on both Thursday and Friday.